I love my bread machine. It is one of those things that we don't use enough. This is a basic recipe that you can adapt to your specifications, in any way you want to. 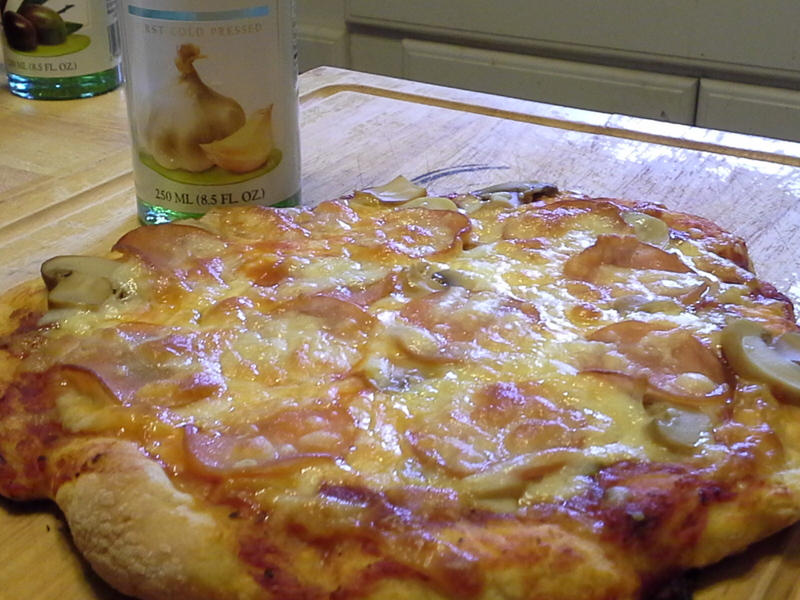 I normally add herbs to my dough, but I didn't with this, because I wanted to use the flavored olive oil. This garlic oil is AWESOME! 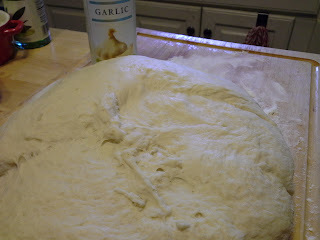 It made this dough very flavorful. Please try it. Add these into your bread machine. 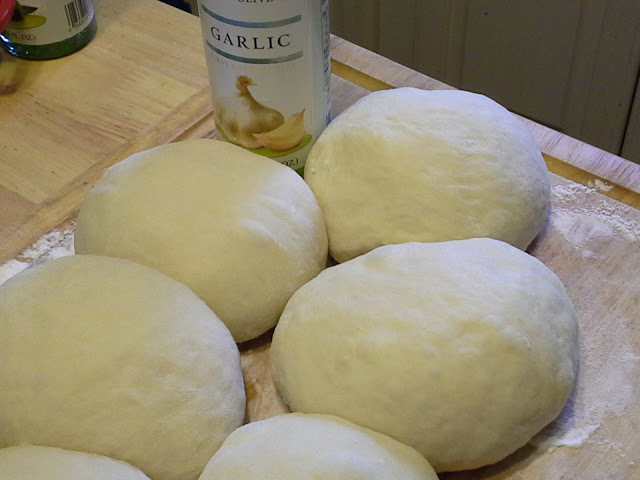 Place on dough setting. See me here when you are done. When your dough is done, pull out and let rise in a warm place about 40 minutes. I like to make little pizzas, so I portioned this out. This dough can be frozen and made later, just remember to bring to room temperature. Cook with all the toppings you desire.